The 2014-2015 season was not kind to the Arizona Coyotes. In fact, it was the worst season the franchise has had since 1996. Everything seemed to go wrong: goaltender Mike Smith was wildly inconsistent and struggled mightily throughout the season, the team incurred a plethora of injuries including two of the team’s best offensive players (Martin Hanzal and Mikkel Boedker), backup goaltender Devan Dubnyk was traded just before the all-star break and went on to masterfully lead the Minnesota Wild on a brilliant 40-game playoff push, and three key players were traded to playoff contenders at the trade deadline. Coach Dave Tippett called the final game of the season “an end to a painful experience.” All of these factors resulted in the second-worst record in the National Hockey League. Though the Coyotes had missed the playoffs the previous two seasons, this past year seemed to be the culmination of a multi-year organizational decline after general manager Don Maloney and coach Tippett scrambled to put together three consecutive playoff appearances despite limited funds, poor drafting and unsuccessful prospects. Disappointment continued in the offseason when Edmonton won the draft lottery, meaning Arizona would receive the third overall selection in the draft and would therefore miss the opportunity to draft star prospects Connor McDavid and Jack Eichel. General manager Don Maloney insists that the Coyotes are in “reset” mode, not “rebuild” mode. No matter what you call it, Arizona has been in desperate need of positive change. Luckily for Yotes fans, there is now a flicker of light at the end of a long tunnel. The Coyotes were able to acquire high draft picks and further improve the organization’s pool of talented prospects through the trade deadline transactions, including prospects Anthony Duclair, Klas Dahlbeck and Maxim Letunov, who join Max Domi, Brandon Gormley, Henrik Samuelsson, Brendan Perlini, Ryan MacInnis and Christian Dvorak, among others. 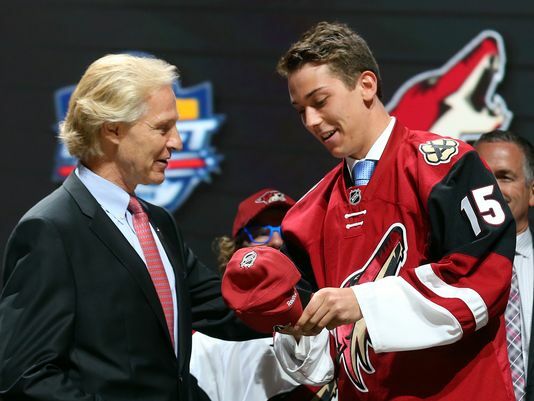 Arizona used the 2015 third overall pick to draft highly-esteemed prospect Dylan Strome, who will play a major role for the Coyotes in the future and could be a potential first-line center. 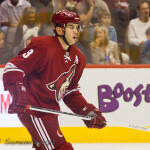 Despite the fact that Arizona failed to address the top-line winger position that has been open since Radim Vrbata left and signed with Vancouver, Arizona was able to re-sign Antoine Vermette and Zbynek Michalek in the offseason after moving them at the trade deadline, and also added several other veteran players, including Steve Downie, Brad Richardson, Nicklas Grossmann and Boyd Gordon via free agency and trade. Though the Coyotes failed to qualify or re-sign defenseman John Moore, the team has a solid group of defensemen including Oliver Ekman-Larsson, Michael Stone, Connor Murphy and Brandon Gormley. Additionally, Hanzal and Boedker should be ready in time for training camp, which will give the club a major boost in morale and offensive ability. It can’t go without saying that defenseman Oliver Ekman-Larsson is a franchise defenseman and superstar in the making. The Arizona Coyotes’ legal strife with the city of Glendale has been well-documented, as have the turbulent changes in ownership and the distracting relocation rumors. The arena struggle appears to have reached some sort of temporary closure as of late July when the Glendale City Council approved a new two-year lease agreement with the Coyotes after the original 2013 15-year $225 million arena lease agreement was terminated by the council in June. Though the issue has been put to bed (for now), the uncertainty and controversy surrounding the whole fiasco has hindered Arizona Coyotes general manager Don Maloney’s ability to attract players and free agents to come play for the Coyotes. In fact, talented 25-year-old Mikkel Boedker signed an extension for only one year; he and his agent listed the uncertainty of the Arizona arena situation as a factor in the decision. Dylan Strome was selected third overall in the 2015 NHL draft. 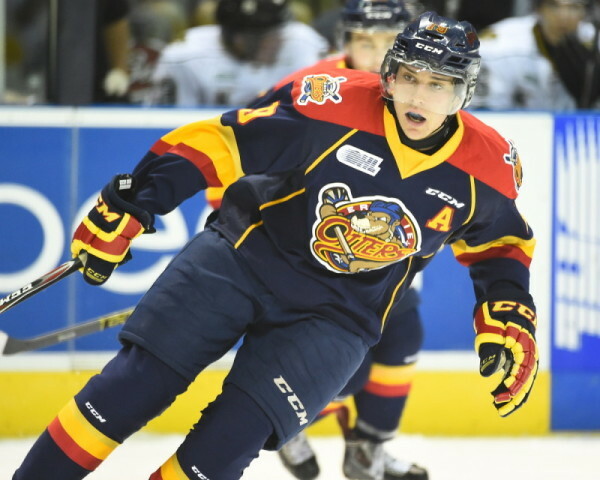 Strome led the Ontario Hockey League in scoring with 45 goals and 84 assists for 129 points in 68 games, setting Erie Otters franchise records for assists and points in a season. He centered the Erie Otters’ second line (McDavid centered the first line) and was able to fill in and produce when McDavid was injured for 21 games (Strome scored 35 points in those 21 games, including 18 goals and 17 assists, and he put together a 6-point effort in the last game of the season to help him win the scoring title). Strome went on to score 22 points in 20 postseason games, scoring 10 goals and adding 12 helpers. Though it is unlikely Strome will make the NHL roster out of training camp, he is sure to play a key role for the Coyotes in the near future and could develop into a top-line center. Though Arizona was disappointed about missing out on McDavid and Eichel, Strome is an excellent prospect who has a lot of offensive upside. The Arizona Coyotes completed a creative trade with the Philadelphia Flyers at the end of June. The deal involved Arizona shipping F Sam Gagner and a conditional draft pick to Philadelphia in exchange for D Nicklas Grossmann, who has one year remaining with a cap hit of $3 million, $500,000 salary retained on Grossmann’s contract as well as the contract of Chris Pronger. Pronger has been placed on LTIR (long-term injured reserve) for the past several seasons after sustaining a career-ending injury in 2011. 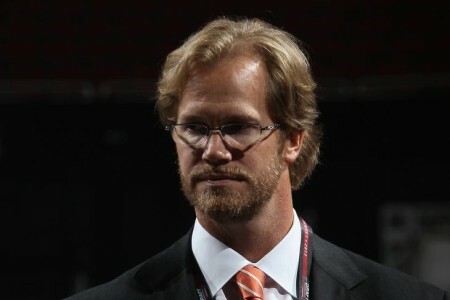 Pronger will never play another game in the NHL, and is even going to be working for the NHL this year (he was also elected into the Hockey Hall of Fame this year despite his contract status). The creativity of the deal has to do with Pronger’s salary and cap hit. The Coyotes have limited funds and have one of the lower cap totals in the league. By taking on Pronger’s contract, which comes with a salary of only $575,000 this season and next season, the Coyotes will only have to pay a small salary but will be able to use Pronger’s cap hit of $4.9 million towards reaching the cap floor. Essentially, it allows Arizona to reach the cap floor without having to really pay for it, which is a major financial benefit for the Coyotes. The Coyotes were contemplating buying out the contract of Sam Gagner, which has one year left with a cap hit of $3.2 million (Tampa Bay retained $1.6 million of Gagner’s contract last summer when Gagner and F B.J. Crombeen were shipped to Arizona for a 6th-round draft pick). The fact that Arizona was able to trade Gagner instead of being forced to buy him out and suffer the cap ramifications, receive cap relief with the Pronger contract and get a veteran defenseman with only one year left on his contract in Grossmann was quite the trade for Maloney (and was equally beneficial for the Flyers). Mikkel Boedker is an extremely talented player and one of the best players on the Coyotes. He was on his way to a career-best season as the Coyotes’ leading scorer with 14 goals (including 4 goals in the previous 5 games) before he sustained a season-ending injury in January and had to have an emergency splenectomy in Winnipeg. Boedker is still only 25 years old and is signed through the end of this season. Though it would have been better for the Coyotes to lock up Boedker on a long-term deal, retaining him was an extremely important task for the club this offseason. This will be a very important year for Boedker to prove himself and earn his next contract; hopefully all of the off-ice issues in Arizona that at least partially contributed to Boedker asking for a one-year deal will be cleared up by the time negotiations begin. Trading Antoine Vermette and Zbynek Michalek at the trade deadline allowed for Arizona to compile more draft picks and talented prospects, while also giving two well-regarded players a chance to compete for a Stanley Cup. 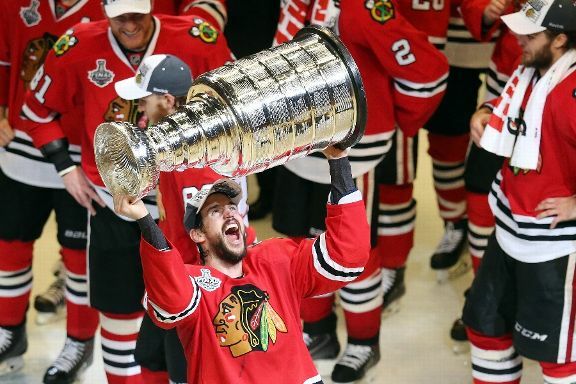 Vermette, who was traded to Chicago, played a significant role in helping Chicago win its third Stanley Cup in the last five years by scoring three game-winning goals in the playoffs, two of which were scored in the Stanley Cup Final (1, 2, 3). Being able to re-sign both players after the season ended shows that management is committed to its players and that its players are committed to the team, to the city and to its fans. 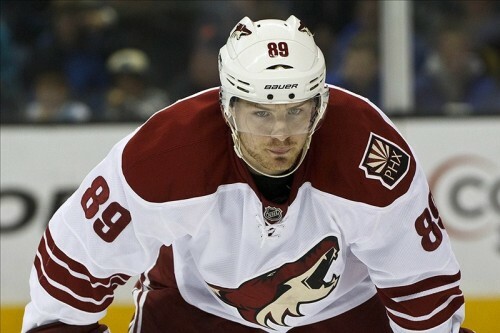 Vermette got his chance to win, succeeded in doing so and was happy to return to Arizona the following season. That says a lot about the organization, and Vermette and Michalek are valuable players that will help the Coyotes improve and grow. One of the strangest offseason moves was the Coyotes allowing 24-year-old defenseman John Moore to hit free agency and sign elsewhere. 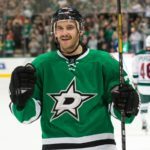 Moore, acquired at the deadline from the Rangers along with Anthony Duclair, a lottery-protected 2016 1st-round pick and a 2015 2nd-round pick in exchange for Keith Yandle, $2.625 million salary retained on Yandle’s contract, defenseman Chris Summers and a 2016 4th-round pick, ended up signing a very reasonable three-year deal with the New Jersey Devils with an AAV of $1.67 million. Even if there were locker room issues in the few weeks Moore was a member of the Coyotes, which is highly unlikely and has not been suggested by any NHL or Arizona sources, it would make very little sense for Arizona to just let him walk away without at least tendering a qualifying offer since he was a restricted free agent, even if the Coyotes decided to trade him. It’s not as if Moore wanted out of Arizona. 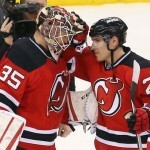 According to a July 2 NJ.com article, Moore said he intended to re-sign with Arizona but did not receive a qualifying offer from Maloney. Moore added that he received a call from his agent during the draft saying that the Coyotes were concerned that Moore’s salary arbitration settlement would be too high. In a summer when the Coyotes made a trade for Chris Pronger’s contract in order to help the team reach the salary floor, it seems bizarre that the organization would let Moore walk away for nothing out of fear that his arbitration settlement would be too high (it couldn’t have been much higher than $2 or $2.5 million at the most). It is especially strange considering the Coyotes gave up Yandle in the deal. 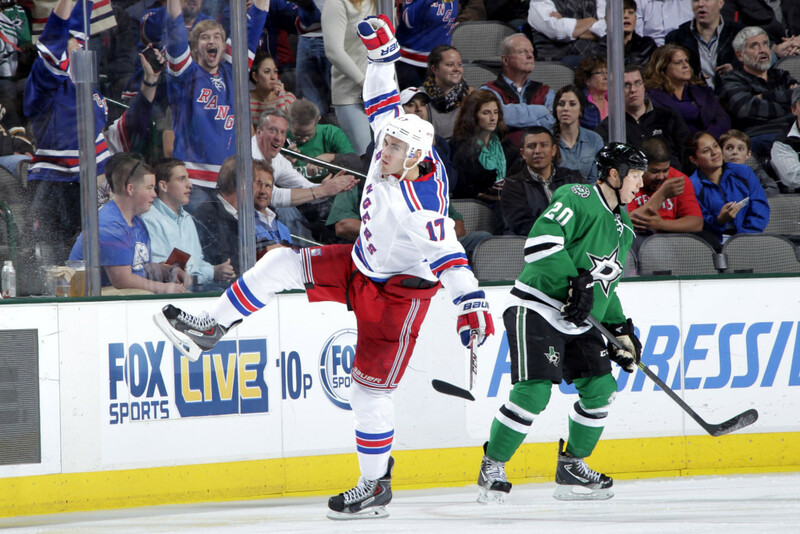 In any case, Moore will return to the Metropolitan division and will be a rival of his two former teams, the Columbus Blue Jackets and New York Rangers, both of which traded him. This will be “more” than enough motivation for him to prove both teams wrong. John Scott may be a nice guy off the ice, but he is not an NHL-caliber hockey player. Scott has a total of 10 points in his entire career. Though four of those ten points came last season when Scott was a member of the San Jose Sharks, it does not warrant this free agent signing. Scott has been suspended multiple times for injuring players and is known as a dirty and ineffective enforcer. Scott was most recently suspended in December 2014 for sucker-punching Ducks forward Tim Jackman in the face. The Coyotes signed Steve Downie, who is a tough player who can also produce offensively and can move around the lineup. If the Coyotes were worried about other teams taking liberties with the young players in Arizona, Downie is a good insurance policy, especially because he can also put up points. If the Coyotes were looking for an extra veteran player who wouldn’t seek much salary or term, there are plenty of other options available that would make much more sense than Scott. For example, Daniel Paille is an available free agent. He has excelled as a fourth-line player on the Bruins for the past several years, has great speed and penalty-killing ability and can score. Though his numbers were down last season, he brings a lot to the table, especially to a team looking for bottom-6 talent with veteran leadership. Though he most likely would not take a $575,000 contract like Scott did, and may not even want to play in Arizona, it would be well worth the upgrade price and effort to attain his far-superior skills and experience. Even Patrick Dwyer has been a steady bottom-6 performer for the Carolina Hurricanes in recent years, scoring 16, 22 and 12 points in his last three seasons, respectively. Another option would be Maxim Lapierre, known for his faceoff ability and penalty killing. He also brings a physical edge to his play and is a sturdy bottom-6 forward. The Coyotes could have pursued players like James Sheppard, Curtis Glencross or Lee Stempniak. 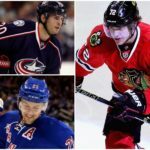 Though these players are not known for their physicality, they are much better hockey players than Scott and would not be seeking a hefty contract. John Scott does not add value to an NHL team, especially because of his lack of speed and his reputation, which will make him an easy target for referees. Even if Paille is an unrealistic example, there are plenty of players looking for contracts who are much better than Scott. It’s understandable that the Coyotes wanted to bring in some veteran depth at the center position with Stanley Cup experience. However, a three-year deal with an AAV of over $2 million seems like an overpayment for Brad Richardson, especially considering the team was worried about Moore’s arbitration and therefore let him walk. 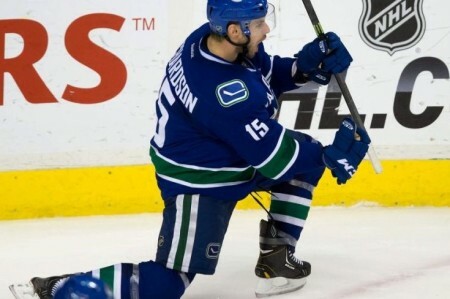 Though Richardson put together a decent season last year in a reduced role with the Vancouver Canucks, scoring 21 points in 45 games, it still feels like an overpayment. Though it is not a significant overpayment and is not drastic enough to warrant further criticism, it seemed worthwhile to acknowledge it at the very least. It’s very unclear what the forward lines will look like in Arizona this year, especially without knowing whether Anthony Duclair and Max Domi will make the team out of training camp. It is unlikely that Dylan Strome will make the team this year, but he has the talent and could surprise everyone with an incredible training camp that forces Maloney’s hand. In all likelihood, though, Strome will not be with the big club this season. Further, though captain Shane Doan and winger Tobias Rieder played a lot together last season, if Duclair and Domi make the lineup, Doan and Rieder could get first- and third-line duties, respectively, since Duclair and Domi would most likely be the wings on the second line, centered by Hanzal or Vermette. If Tippett decides to split up former linemates Duclair and Domi, one could slot in on the top line with Boedker and Hanzal/Vermette and the other could play with Doan and Hanzal/Vermette, leaving Rieder and Downie as the third-line wingers. If only one of Duclair and Domi makes the team out of training camp, Rieder could slot in on the second line with Doan. Craig Cunningham, whom Arizona claimed off waivers from the Boston Bruins last season, could get some fourth-line minutes at some point but will most likely start out in the minors. Arizona’s promising prospects, especially Henrik Samuelsson, could see some time in the NHL later on in the season. As for the defense, it is unclear at this time who will be the seventh defenseman. Arizona may decide to rotate defensemen throughout the season, start all of the young defensemen and have Grossmann sit or have Grossmann and Michalek pair with a young defenseman and let one of Klas Dahlbeck, Brandon Gormley or Connor Murphy sit. General manager Don Maloney and the rest of the Arizona Coyotes’ organization has done a relatively impressive job managing a deflated and declining club. Though the team traded two of its top three scorers from last season (Sam Gagner and Keith Yandle) and missed out on the opportunity to re-sign defenseman John Moore, the prospect pool in Arizona is deep and continues to grow deeper. Getting Hanzal and Boedker back from injury and re-signing Vermette in the offseason will be extremely beneficial for the offense, and hopefully goaltender Mike Smith can rebound from his shaky-at-best performance last season. Though it is unlikely that Arizona will fare much better in the final standings this year, the team is at least headed in the right direction and is on its way to hitting the “reset” button. Arizona will most likely be in contention for Auston Matthews, who is projected to be the first overall pick in the 2016 draft. In any case, the Coyotes will be a much better team once the likes of Strome, Duclair and Domi have a bigger role on the team, along with some of Arizona’s other up-and-coming prospects. Plus, Arizona has a franchise defenseman in Oliver Ekman-Larsson who seems to get better and better every game. It is very likely that some veteran players could be on the trading block again at this year’s trade deadline, but that will help Arizona continue to accumulate assets. Things probably can’t get too much worse for the Coyotes than last season, or at least that’s what Arizona is banking on.